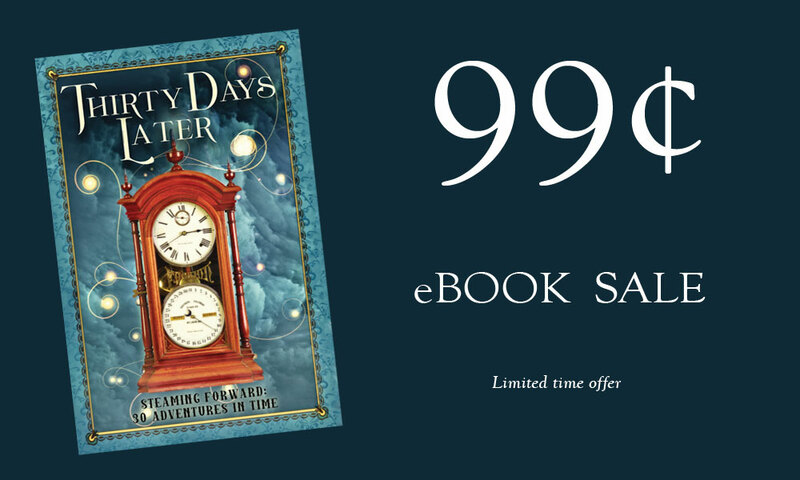 The ebook edition of our charity steampunk anthology Thirty Days Later, Steaming Forward: 30 Adventures in Time is on sale for 99 cents now through September 5! Fifty percent of the proceeds from this book benefit public libraries. Thirty Days Later features Hugo award-winning alternate history author Harry Turtledove, along with 14 other new and established writers. So pick up some steampunk and alternate history this Labor Day weekend for 99 cents at your favorite ebook retailer! Thirty Days Later authors include T. E. MacArthur, AJ Sikes, Harry Turtledove, David L. Drake and Katherine Morse, Anthony Francis, Kirsten Weiss, Steve DeWinter, Michael Tierney, Janice Thompson, BJ Sikes, Emily Thompson, Sharon E. Cathcart, Justin Andrew Hoke, Lillian Csernica, and Dover Whitecliff. Do you love alternate history? Are you a fan of Harry Turtledove, the Hugo Award-winning author of The Guns of the South, The Two Georges, and the Worldwar series? Then you’ll enjoy Thirty Days Later, Thinking Ink Press’s forthcoming anthology featuring two brand new stories by Harry Turtledove, who Publisher’s Weekly dubbed the “master of alternate history”! Thirty Days Later will be Thinking Ink Press’s first full-length fiction anthology, and will include not only Turtledove’s stories but also 28 more tales by favorite steampunk authors, including the award-winning Sharon E. Cathcart, Anthony Francis, and the writing team of David L. Drake and Katherine L. Morse. Thinking Ink Press is excited to welcome all of the authors of Thirty Days Later to our publishing family, including: T. E. MacArthur, AJ Sikes, Harry Turtledove, David L. Drake and Katherine Morse, Anthony Francis, Kirsten Weiss, Steve DeWinter, Michael Tierney, Janice Thompson, BJ Sikes, Emily Thompson, Sharon E. Cathcart, Justin Andrew Hoke, Lillian Csernica, and Dover Whitecliff. Click the button below to sign up for updates, including release party info and exclusive bonuses! 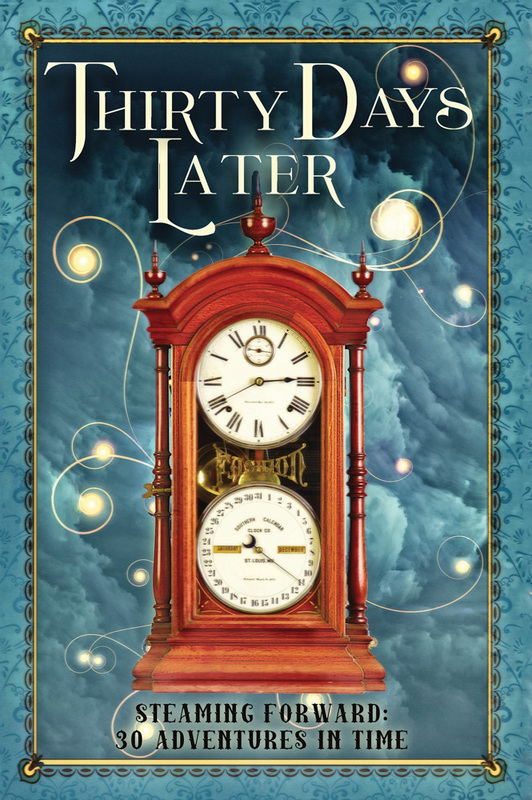 Do you like steampunk and cliffhangers? Adventure and intrigue? Dragons and Sasquatches? 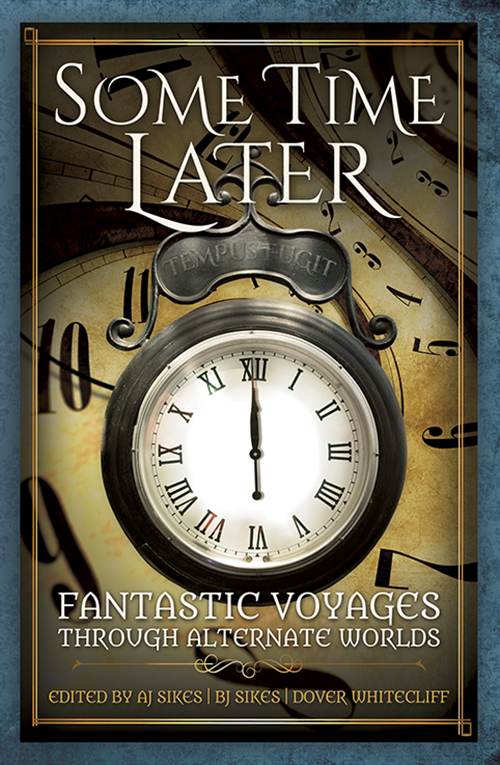 Then you’ll like the forthcoming anthology Thirty Days Later, Steaming Forward: 30 Adventures in Time, featuring pairs of stories by favorite steampunk authors who have appeared at the Clockwork Alchemy steampunk convention! Thinking Ink Press is proud to announce we will publish Thirty Days Later in time for Clockwork Alchemy this Memorial Day. Edited by AJ Sikes, BJ Sikes, and Dover Whitecliff, Thirty Days Later is the sequel to the steampunk anthology Twelve Hours Later: 24 Tales of Myth and Mystery, a charity anthology to promote California literacy programs, and Thinking Ink Press is proud to donate half the royalties of Thirty Days Later to promote literacy. Penelope Dreadfulle, Literary Reviewer for the Blackfriars Courant. 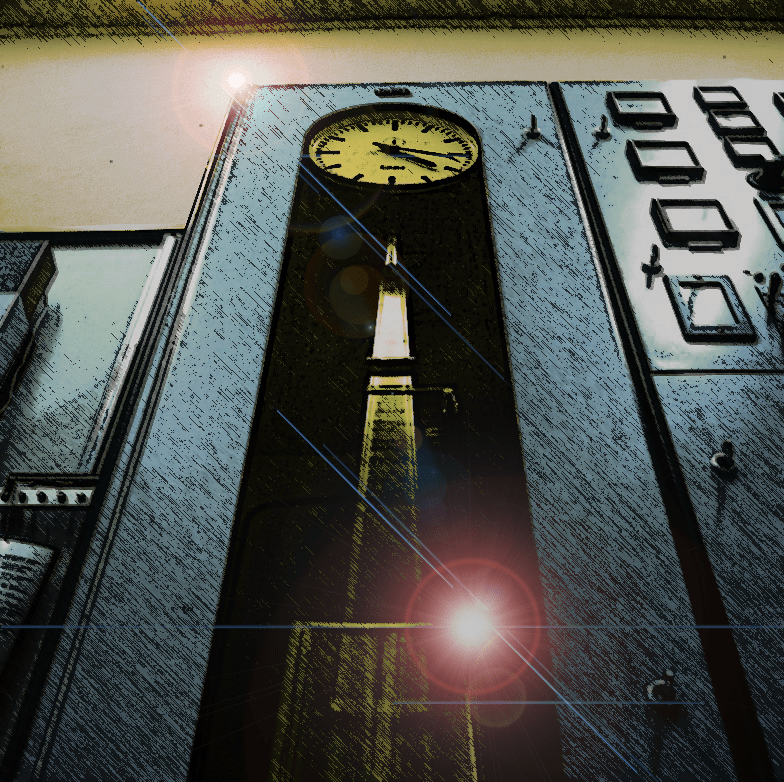 As Memorial Day approaches, look for further announcements here about the release date and release party of Thirty Days Later at Clockwork Alchemy, or click the button below to sign up for our 30DL mailing list! Image credit: Deutsche Fotothek, downloaded from Wikimedia Commons under the Creative Commons Attribution-Share Alike 3.0 Germany license.